When I began working for the Charles Causley Trust in September of last year, I was also beginning the third and final year of my degree in English and Creative Writing at Plymouth University. I was attracted to what was initially billed as a ten week internship because I saw it as an opportunity to learn, particularly about promotion through social media and the running of a website. I didn’t have a huge amount of experience in this area and was aware of how important it is becoming to employers in a huge range of sectors. So I hoped to learn, but I had little idea just how varied that learning experience would be and how much I would come to enjoy it as far more than just simply a job. What struck me the most was how important the memory of Charles Causley is to the community of Launceston. The very first time I visited the town, I bumped into an old friend of Charles’s on the street who immediately expressed how much he still missed his friend. It became clear quite quickly that the Trust means a lot to many people, and has a certain sense of community surrounding it that is visibly present. It is as tied to Cornwall as Charles was. There certainly aren’t a lot of jobs that come with that kind of feeling and appreciation and it’s a fortunate position to be in. It’s also one that comes with a sense of responsibility, to do justice to Charles, and also to the many people who still miss him and care greatly about his legacy. Yes, it was clear this was going to be more than just about building up my skills and knowledge. It was going to be something I would come to care about a lot. You might be wondering what I actually do as an intern on a daily basis. It certainly varies a lot and no two days are the same. I spent a lot of time in the build up to Christmas promoting our Charles Causley International Poetry Competition, mainly through researching organisations and posting on Facebook and tweeting on Twitter. It was exciting to watch the entries trickle in, particularly taking note of the broad range of countries we were able to reach and include. Notifying the winners and sharing their brilliant poems was the icing on the cake and a wonderful way to help emerging writers celebrate their work. I am now studying and writing my own poetry in a ‘Contemporary Poetry’ module at university, and working on the competition as a pre-cursor to that has been an inspiring way to wet my appetite and open my eyes to the range of poetry out there. I also write articles for the Trust website, putting together news and announcements, as well as posting articles by others, including blog diaries of writers in residence. I have attended networking events, put together a presentation and helped to promote literature and creative pursuits in the region Charles Causley spent his life. We often hear about how much the arts, especially writing, are undervalued, and it’s satisfying to help change that and promote something that means a lot to myself and others. As a creative writer I understand how difficult it can be to have your work seen and valued, and having those opportunities to share it to begin with. The writing residencies in Charles Causley’s former home of Cyprus Well are a great way to give artists the space and time to write uninterrupted and free from the pressures of everyday life. Part of my role has been working with these residents to help translate their thoughts online, and more recently, to help connect the current poet in residence, Andrew Fentham, with Plymouth University in the hope of putting together a workshop for students. To meet so many like-minded people who are equally enthusiastic about writing has inspired me to keep pursuing my own work. As we approach the Centenary celebrations in honour of Charles’s 100th birthday, there are more exciting events to plan and deliver. I will be helping to put a book together in memory of Charles, a great experience as I am interested in publishing and have enjoyed putting several books together through projects I’ve done at university. The skills I have been able to nurture at the Trust are beneficial to my interests and career aspirations, as well as showing me new career pathways and possibilities – I’ve changed my thoughts about what a career in the arts might look like for me at a crucial point. As I begin to approach the end of my university degree studies, I look forward to being able to continue writing my own work and promoting the art world for the enjoyment of others. 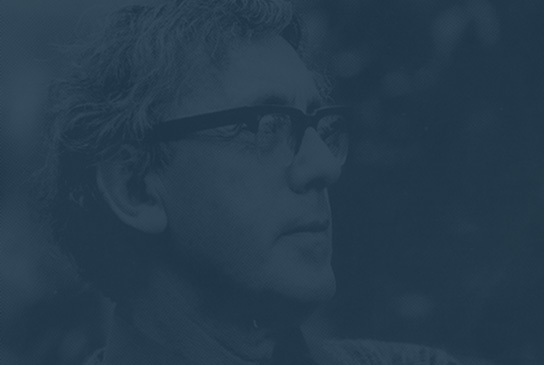 Our partnership with the University of Plymouth and Literature Works ensures a wider audience is reached for Causley’s legacy and provokes new interest from students interested in reading and researching his life and writing. The internship was devised with Dr Rachel Christofides, Associate Head of School – English and Creative Writing and Hannah Stamp has proven an exemplary first candidate for the role. So much so that we have extended her tenure with us until the Easter term. We will be looking to offer more opportunities of this kind to students in the region and look forward to the energy and ideas the exchange brings.